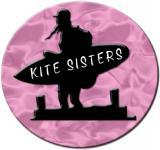 Kite Sisters Women´s Kiteboarding Camp in Paracas, Southern Peru. Since 2011 our classic Kiteboarding Camp in one of our favourite spots: flat and shallow water, a U shape Bay... Yoga in the Morning, Kitesurfing in the afternoon and Gourmet peruvian Cuisine every day! Week 1: November 10th to 17th, 2018. SOLD OUT. Week 2: November 18th to 25th, 2018. SOLD OUT. Week 3: December 1st to 8th, 2018. Last spots. Daily Kiteboarding Lessons - for Beginners - and Coaching - for Intermediate and Advance riders.